Lube-Tech, a leading distributor of lubricants in North America is an active supporter of the Minnesota State Transportation Center of Excellence. They offer a starter kit program for students in 2-year college programs within the automotive, diesel, power sports and small engine categories. 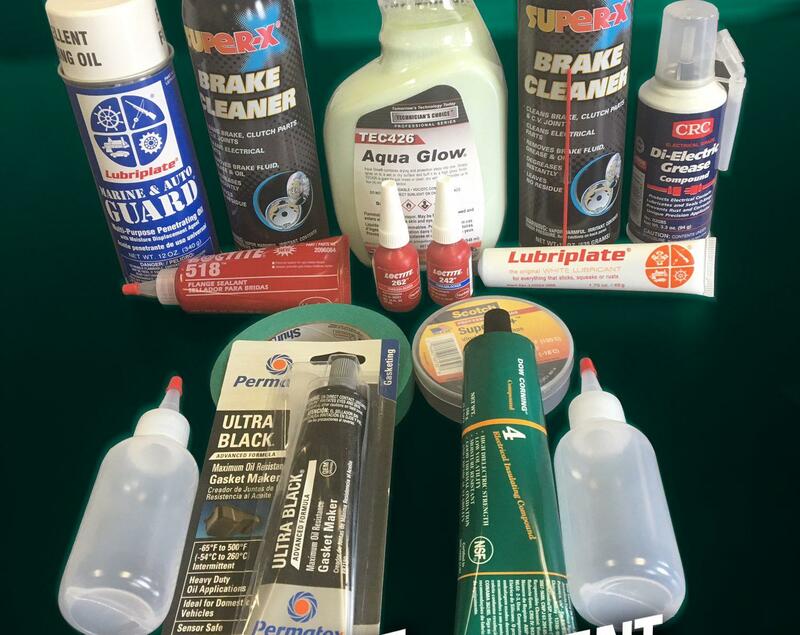 This kit includes products such as brake cleaner, Loctite, electrical compounds, tapes and Lubriplate products that are perfect for hands on learning. These starter kits help your school budget while also benefiting your students. The kits will be the property of your school, so any student who leaves their program early must return their kit back to you. In addition to the kits, Lube-Tech also provides the SDS sheets for all the products. In the past, these kits have been available for purchase but this year, Lube-Tech is excited to announce that in partnership with the Minnesota State Transportation Center of Excellence they will offer this program state-wide FREE of charge! Want to get involved? Send a short description of your class and anticipated class size with your name and direct phone number to the contact person below. This information will be used to determine how your class will be supported. Lube-Tech recognizes that there are other non–traditional programs that may have a need for these kits and will accept and evaluate requests for those programs on a case by case basis. In addition to the Starter Kit program, Lube-Tech also provides a “Lubricants 101” training session for your class and offers tours of their Golden Valley facility that houses a state of the art blending plant, laboratory, and engine testing facility. Last year over 300 students participated in the tours and 500 students and instructors attended the Lubes 101 training. If you’d like more information on these additional resources, please use the same contact information below.